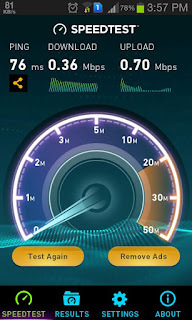 In this post I try to say Siti broadband download speedtest and its download speed review at Nalhati, Birbhum, West Bengal, India. Here Siti broadband services start this year but here also available allaince broadband few years before. But Siti broadband is slowly popular in this area. Give here the plan link there are old plan price because then tax was 12.5% and now tax is 15% so you think that the plan price increase 2.5%. So every plan price are increase Rs.10 or Rs.10 plus. 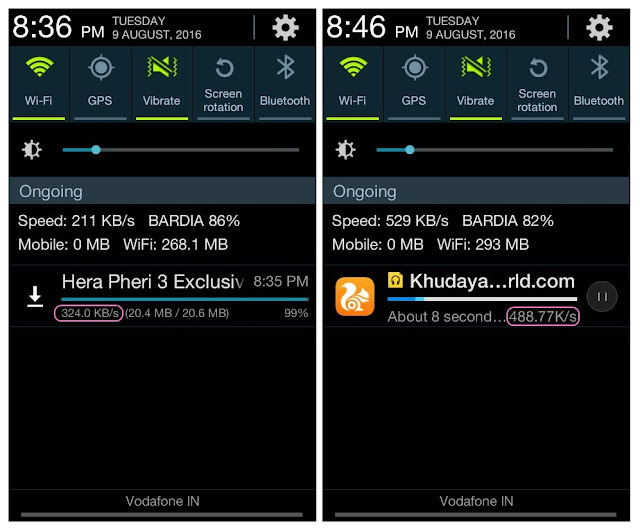 Plan Rs.570 : My friend try to speedtest through smartphone at Rs.570 plan and he send this all information through whatsapp. When download through youtube and UC browser at smartphone then download speed is very good like 350kbps to more than 400kbps. If I get any information of Siti broadband(like speedtest or download speed review) then I will mention this post.